painting. 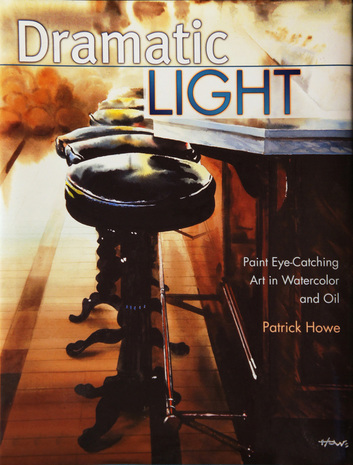 Published in 2006 by North Light Books. 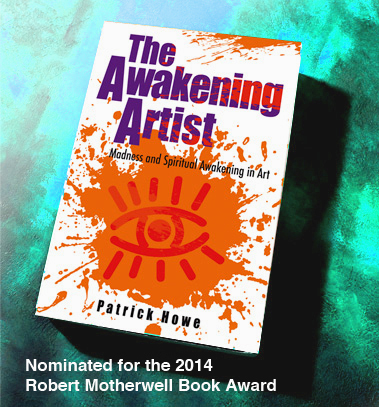 "Awakening Artist: Madness and Spiritual Awakening in Art"
An art theory book nominated for the 2014 Robert Motherwell Book Award for outstanding and original thinking on the topic of Modernism in art. Foreword By Steve Taylor, bestselling author of "The Fall: The Insanity of the Ego in Human History and the Dawning of A New Era." Back Cover “The Awakening Artist: Madness and Spiritual Awakening in Art” is an art theory book that explores the collision of human madness and spiritual awakening in art. It examines a condition of insanity that can be seen in most art movements throughout art history and contrasts that insanity with revelations of beauty, wonder and truth that can also be found in many works of art. The Awakening Artist references concepts of creativity put forward by Joseph Campbell, Carl Sagan, Albert Einstein, Carl Jung and others. Furthermore, The Awakening Artist discusses many of the world’s most important artists who explored the theme of awakening in art including Michelangelo, Paul Cezanne, Claude Monet, Marcel Duchamp, Morris Graves and many others. Additionally, using concepts of Eastern philosophy, the book presents the case that human creativity originates from the same creative source that animates all of life, and that the artist naturally aligns with that creative source when he or she is in the act of creating. Publisher: John Hunt Publishing, 2013.